While fall technically started over a week ago, now that it’s October it’s really time to embrace autumn and all the wonderful things it has to offer! What better way to do that than by enjoying all things pumpkin spice? Well if you’re like me, and it seems most of the rest of the country and you can’t get enough of pumpkin flavored food and drinks, then you definitely have to try these Pumpkin Pie Pudding Shots! I first made these pumpkin pie pudding shots two years ago, and they were a huge hit with my friends & family. 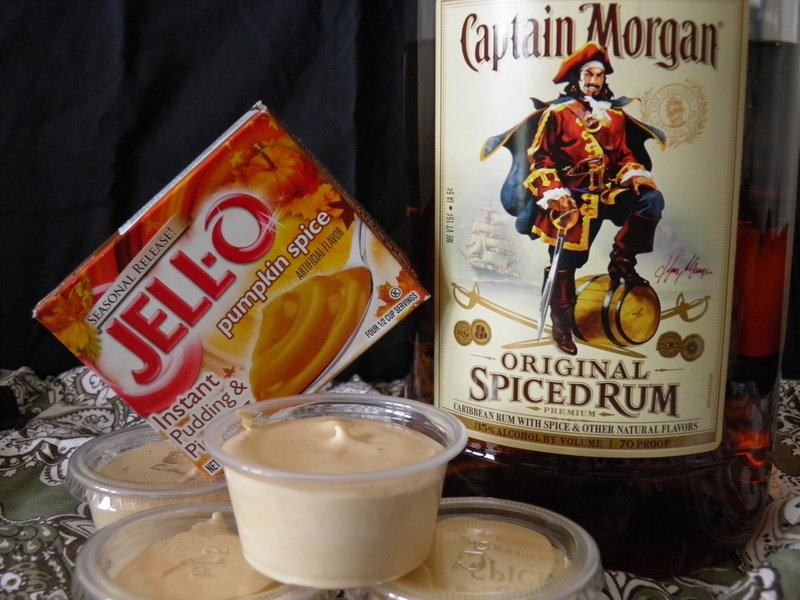 Thanks to Jell-O pudding hopping onto the pumpkin spice bandwagon, these pumpkin pie pudding shots couldn’t be easier! While I made them with spiced rum, a cinnamon whiskey like Fireball would also be a great choice! They are the perfect addition to any fall party; from football tailgates to Halloween bashes they are sure to be a huge hit! I hope these are a hit at your next party too!